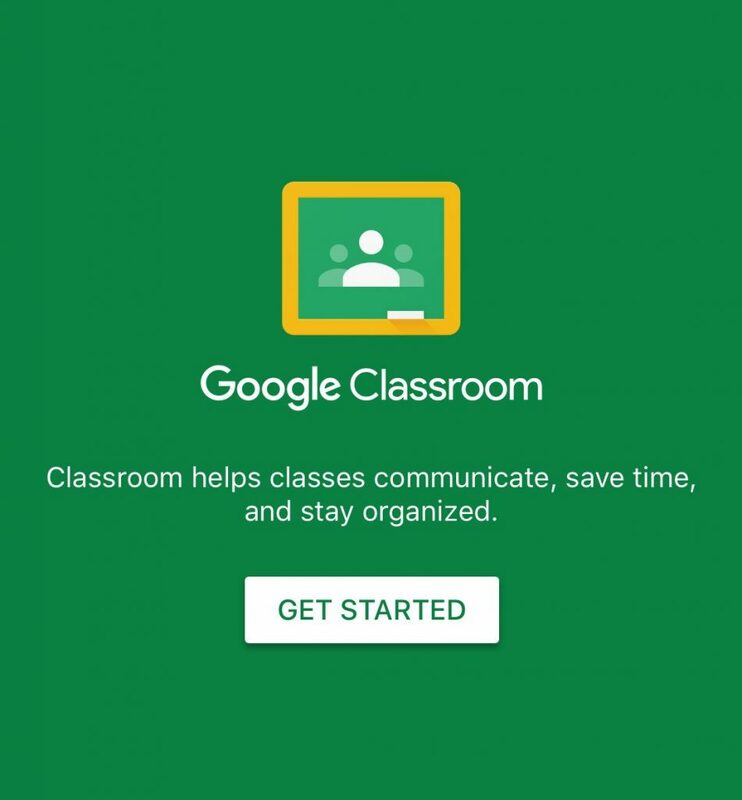 Over the past several years, teacher have increasingly begun to harness the productivity of Google Classroom; however, most use the web-based version of Classroom. 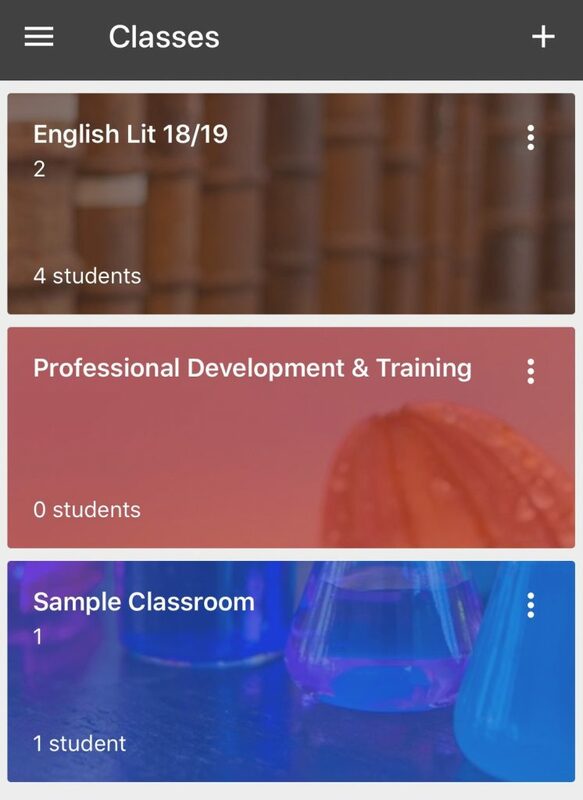 Although the features of Google Classroom on the web are plentiful, the Classroom mobile app offers several additional features that are not available on a computer. These additional features are powerful and expand the possibilities for mobile device users. IOS and Android users alike can benefit from the Classroom mobile app. Simply download the app from iTunes or the Google Play Store and sign in to your existing Classroom account. If you aren’t already using Classroom, you can create an account from the mobile app. There are several items on the main menu in the Classroom mobile app. Once the app is opened, the screen will display each Classroom of which the user is a member. The hamburger menu (triple horizontal lines) will bring up the main menu where a variety of items can be accessed. 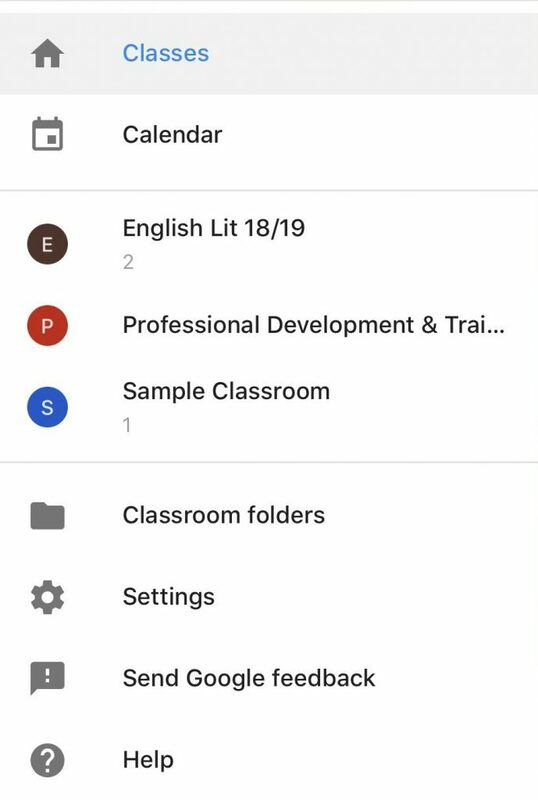 Users can access Google Calendar, Classroom folders on Google Drive, and mobile app settings. 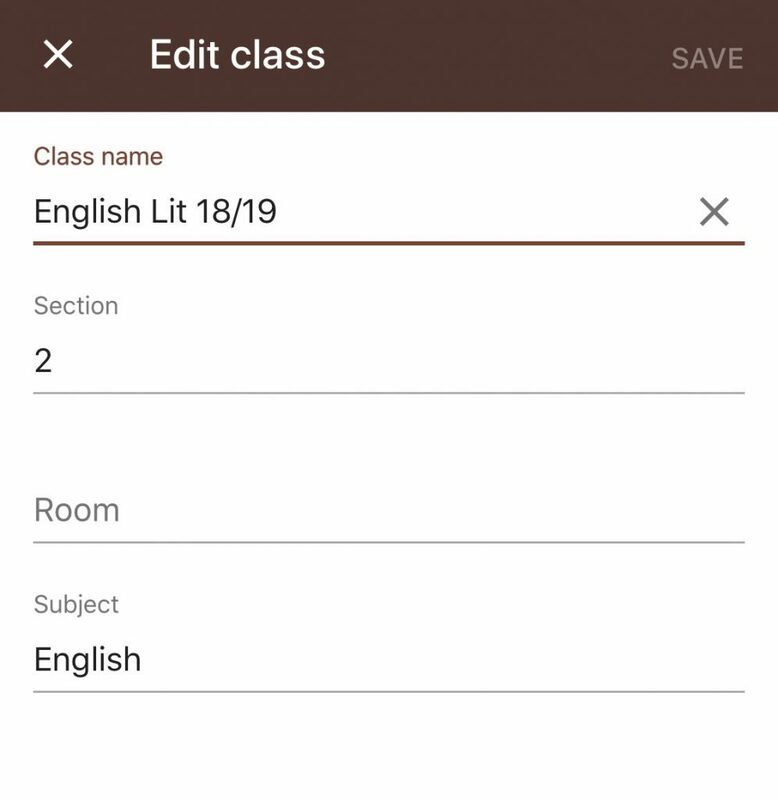 The triple dot menu allows the user to edit class information such as class name, section, room, and subject. From the Home screen, users can also join a class or create a new class by clicking the plus sign at the top right corner of the screen. 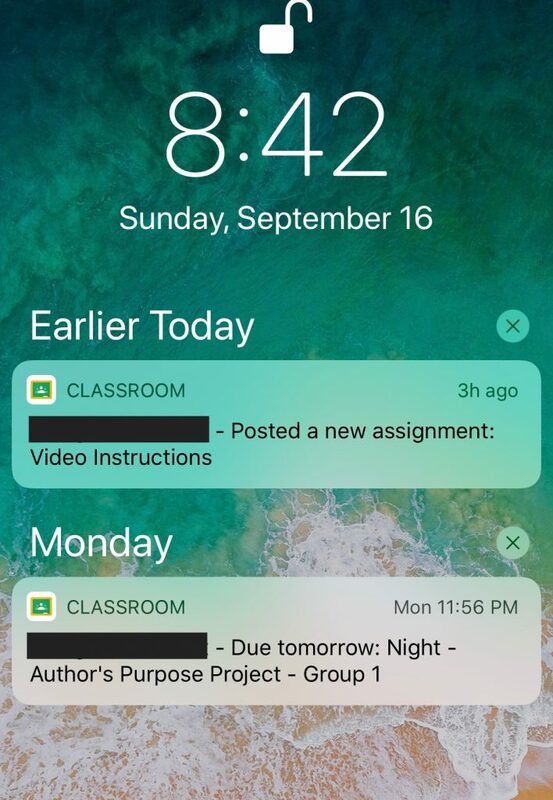 One of the most productive features of the Classroom mobile app is notifications. Not only can you adjust your notification settings from within the app, but you can also receive important push notifications on your device which can be a game-changer for those who need frequent reminders. To access notification settings, navigate to the main menu (hamburger icon on home screen), click the gear wheel to access Settings, and then choose Notifications. Toggle buttons allow users to personalize notifications. Options for teacher notifications are broken into various sections: Email, Device Notifications, Comments, and Classes You Teach. Device notifications are on by default and can be modified through the device’s settings menu. 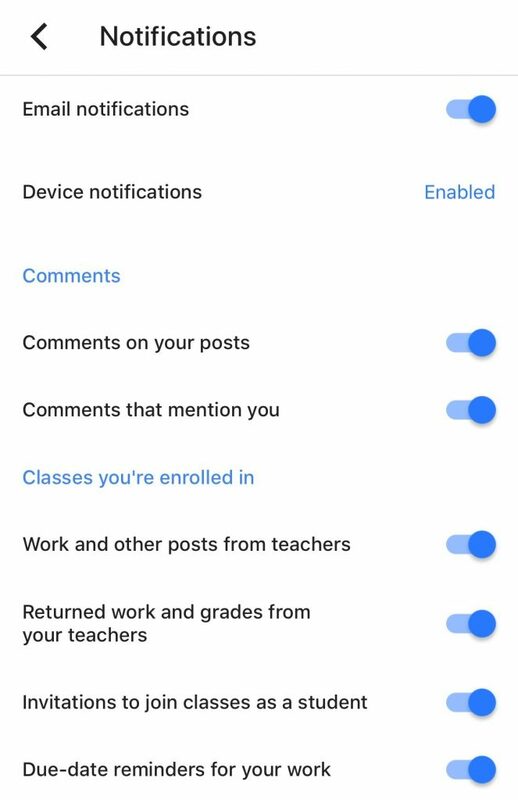 The Email option allows email notifications to be turned on or off while the Comments option gives the teacher the opportunity to receive notifications for comments made on teacher posts and for comments which mention the teacher. When email notifications are turned off, all notifications are automatically turned off. 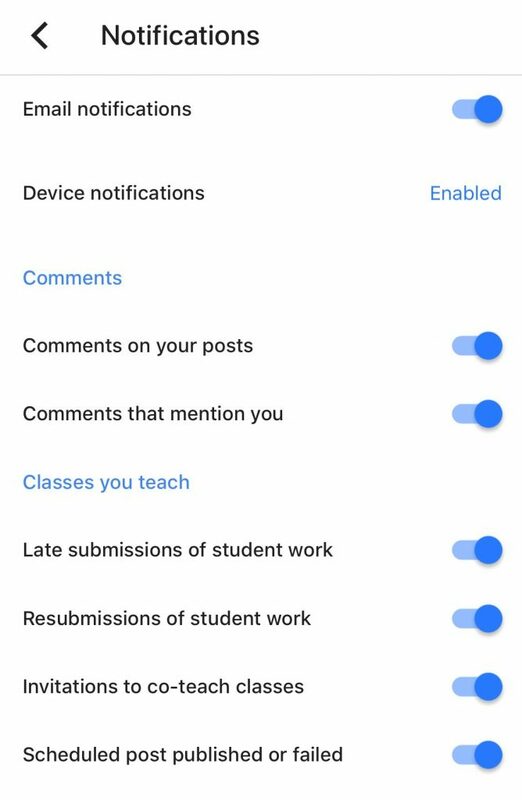 Under the section for Classes You Teach, notifications can be set for late submissions or resubmissions of student work, invitations to co-teach classes, and status of scheduled posts. Student notifications also include Email, Device, and Comment notification options; however, the fourth area is for Classes You’re Enrolled In. In this section, students can set notifications for assignments, posts, returned work and grades, invitations to join classes as a student, and due date reminders. Push notifications received through the mobile app can be customized even further through the user’s device based on personal preference. Sound and vibration can be customized as well for a unique indication that the user has received a notification from Classroom. 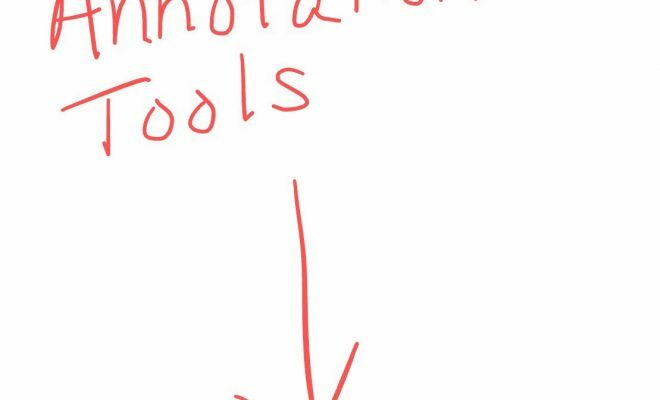 The Classroom mobile app offers an annotation feature which allows the teacher or student to annotate directly to a document using annotation tools. When an existing Doc or PDF is opened, a pencil icon appears at the top right corner of the screen. Clicking this icon will open the annotation tools. 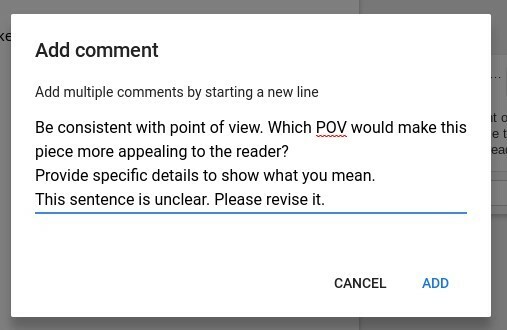 Teachers can utilize annotation tools when grading or leaving feedback for students. 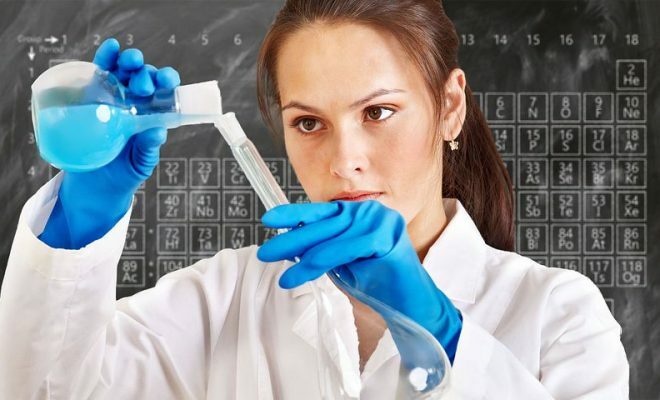 Students can use the annotation feature in an existing Doc or PDF assigned by the teacher, or they can create a new PDF from within the assignment. If the original file was not a PDF, Classroom will create a PDF with the content of the original document and the annotations. 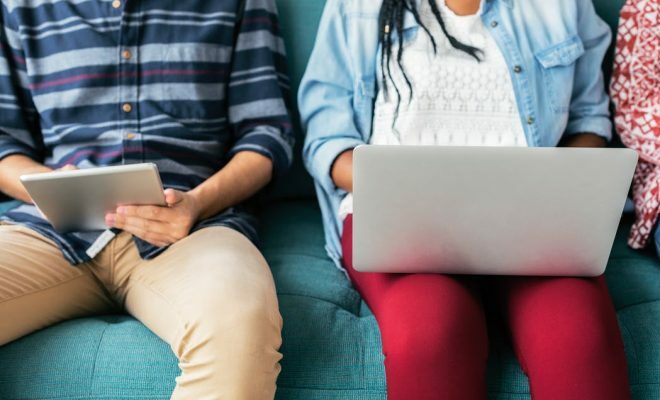 Although users can upload photos and videos to the web-based Classroom, using the mobile app makes the process quicker and easier with many more options for getting creative. Teachers and students can add photos and video by navigating to an assignment and adding an attachment (paperclip icon). The attachment menu will appear – choose “use camera” to open the device’s default camera application. 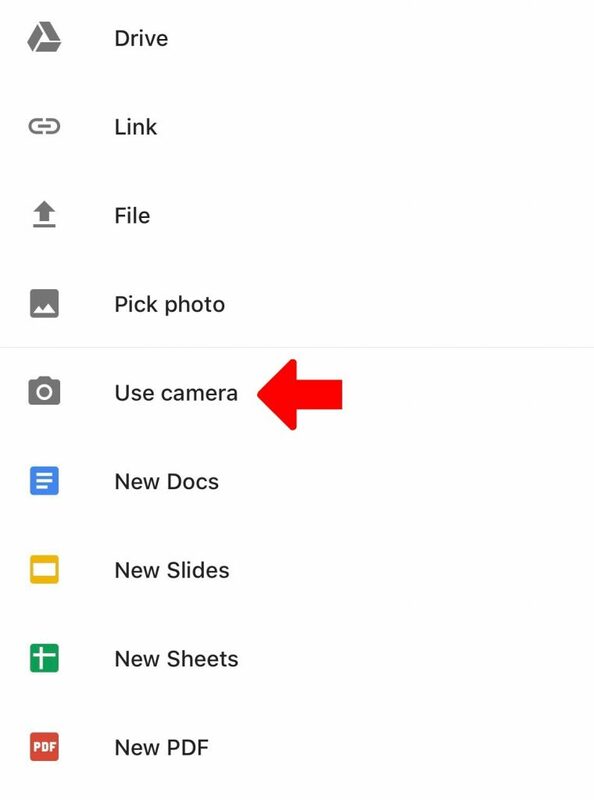 From here, the user can take a still photo or record video to upload to the assignment. 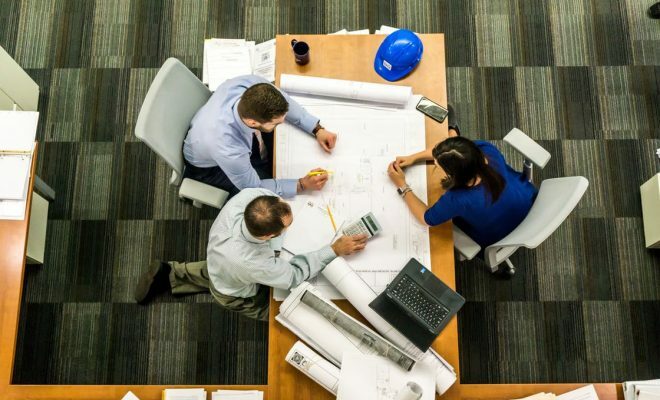 In addition, users can also take photos and create videos from other mobile apps and upload them to Classroom from the “pick photo” option which enables users to get more creative with assignments.